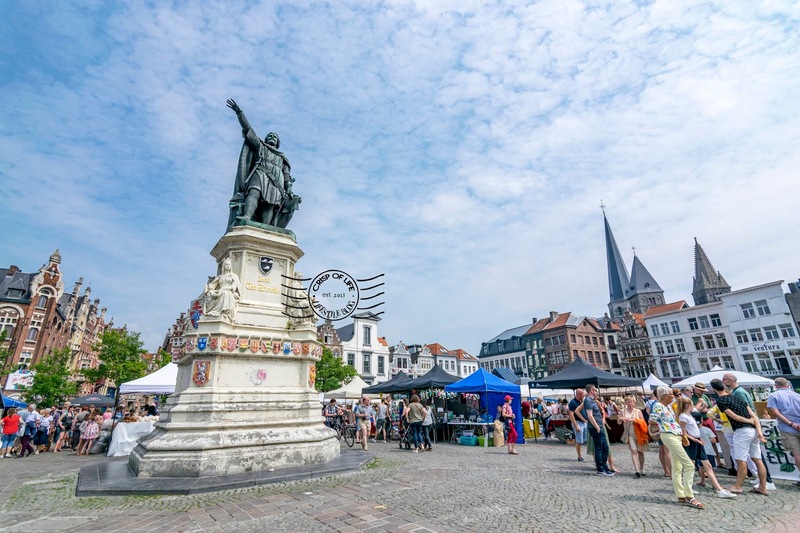 A day trip to Ghent from Brussels is sufficient for you to explore this interesting city featuring hybrid of cosmopolitan hub and the quiet atmosphere of rural province. 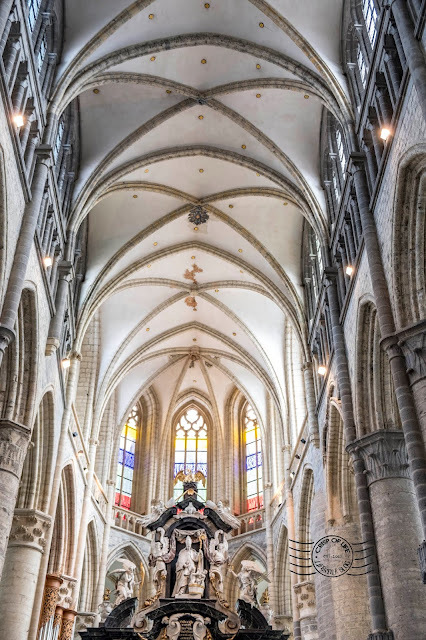 It was a prominent city in Europe during Middle Ages, therefore traits of late medieval architecture such as Belfort en Lakenhalle and Gravensteen can still be seen breathing amongst the urbanest. 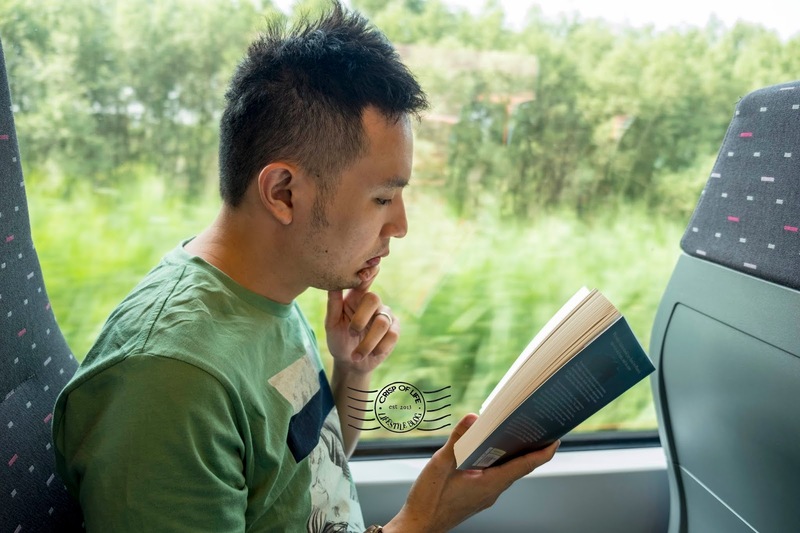 Exploring the city is city can be done easily by foot without the needs of hustling through the major train system. Iconic view of Graslei & Korenlei at Ghent. One of the most beautiful spot in Ghent. When the dusk sets in, the building reflects on the river and created an unique scene. 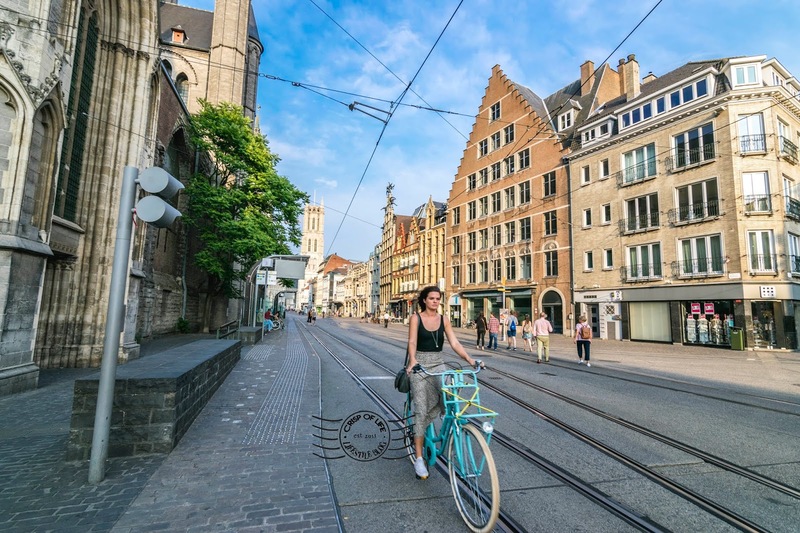 Getting to Ghent from Brussels is just a 30 minutes train ride. and the train continues to Bruges. 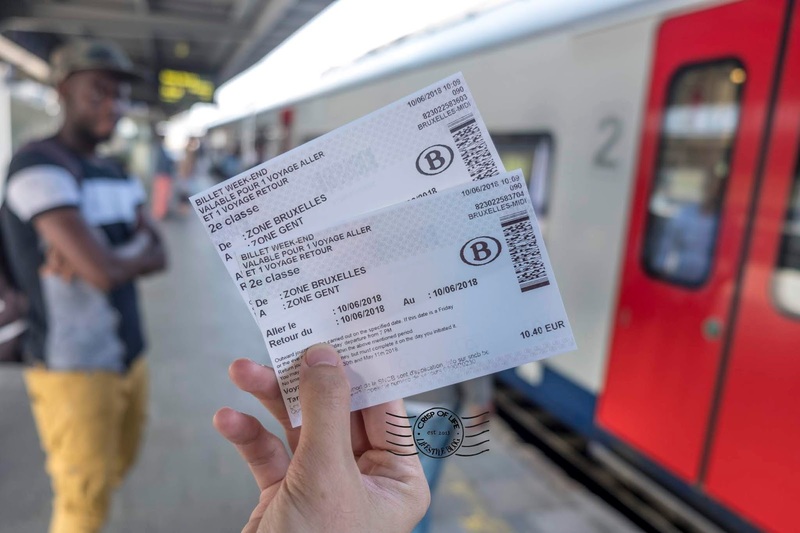 A return ticket cost €10.40 per pax (as of Jun 2018) and you can use the ticket on any time on that day itself, which gives you a great flexibility. We bought the ticket on the departure day itself and had no problems getting a seat, despite it was on a weekend. 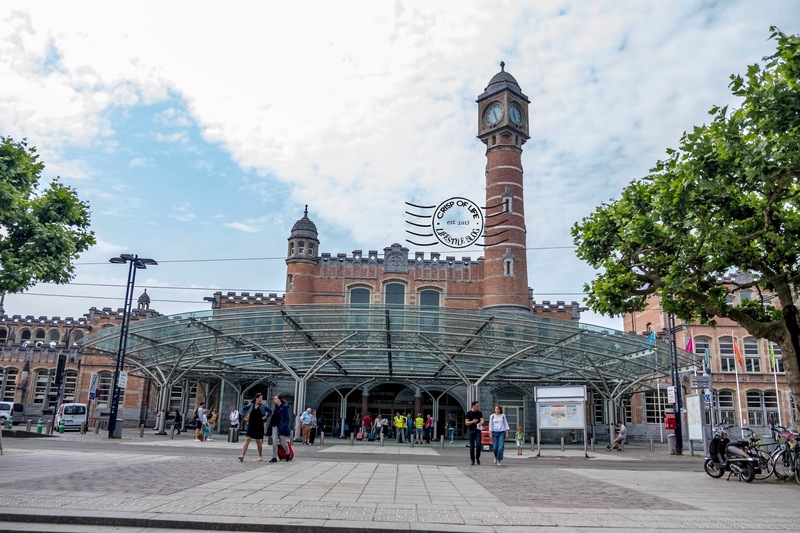 All the trains inbound from Brusells-Midi stops at Gent-Sint-Piers, which is 30 minutes walking distance from the city center. The best option is to take a tram, which cost €3 per pax. However, you need to use coins only to buy the tram ticket using the vending machine. We were lucky to get a friendly local to exchange coins with us. 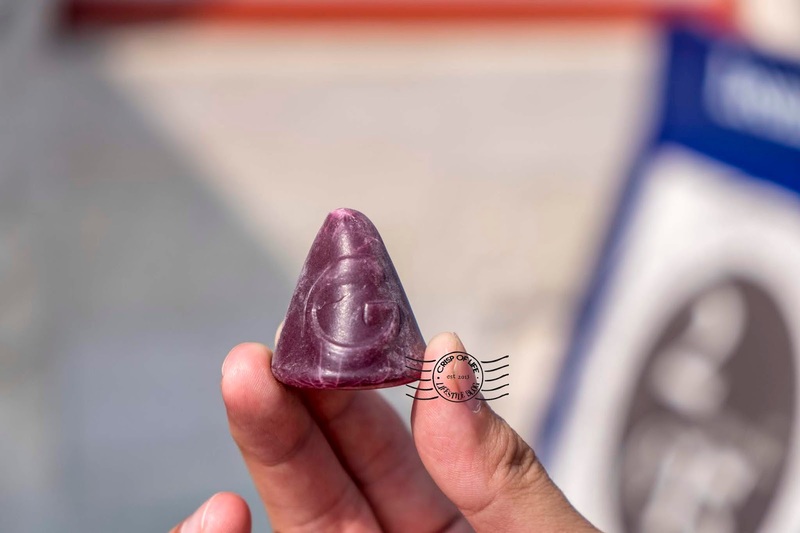 Communication was a hindrance and we managed to overcome it using hand language solely to convey our message! Ghent is surely brimmed with Flemish cuisine, which combines French's cuisine finesse with northern European sturdiness. 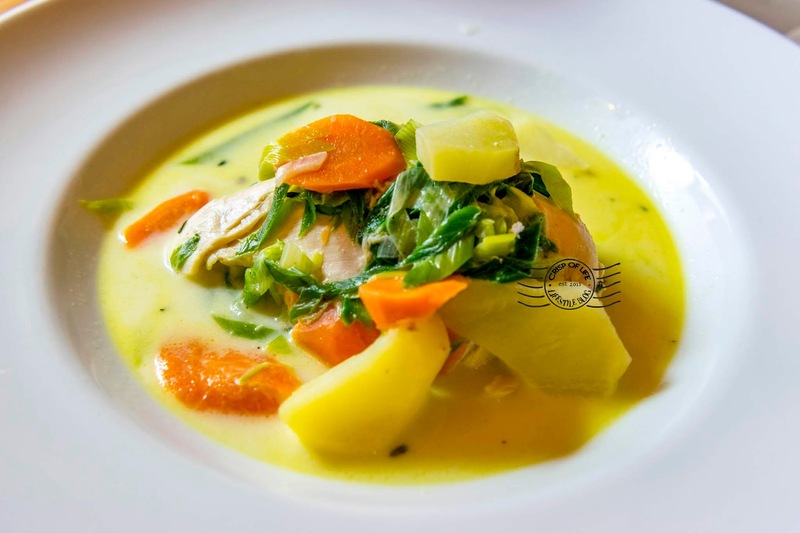 Try Waterzooi, a local specialty which has fish or chicken stewed with a soup-based of egg yolk, cream and thickened vegetable broth. Other than that, Stoverij or mussels are some exemplary choices. 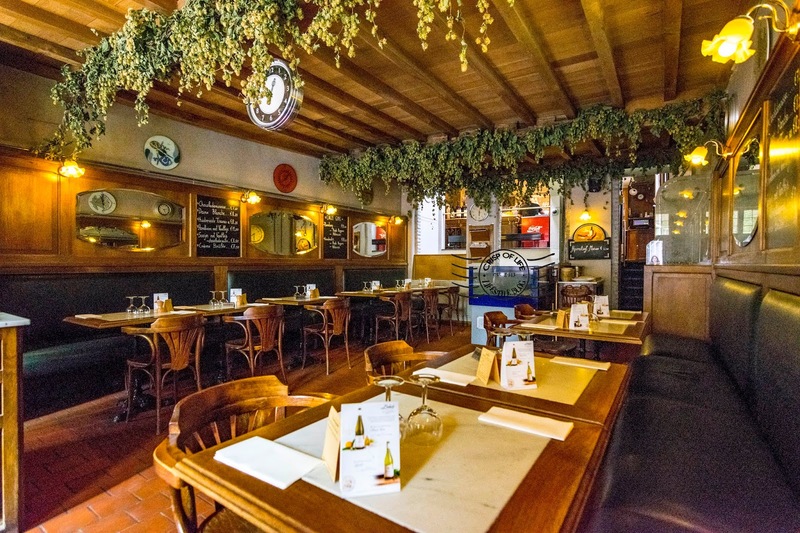 The quaint restaurant tucked in a corner of Ghent town is a not so hidden gem. 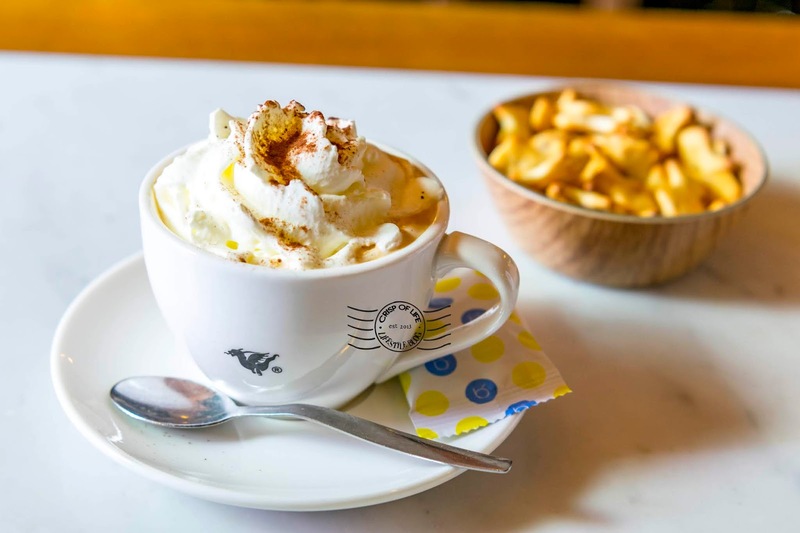 You can get local Flemish cuisine such as Waterzooi or Stoverij here. Food is delicious and the crew is very friendly too. The Chicken Waterzooi (€16.50) is delicious. 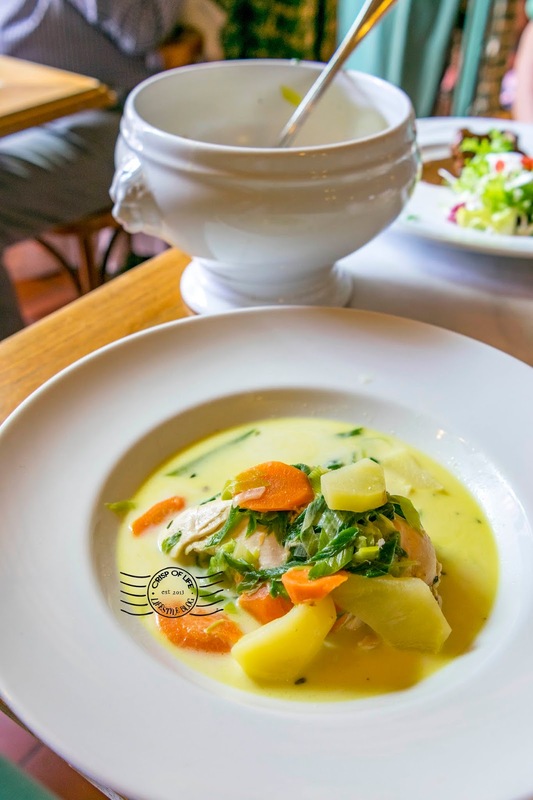 Chicken is soft and fresh, partially submerged in a vegetable creamy based soup with that offers an aromatic potato scent, strong leek taste with lightly seasoned with pepper. Waterzooi was deemed as a dish for the poor when it was first invented but slowly the DNA of Waterzooi has integrated with the locals and became their proud. 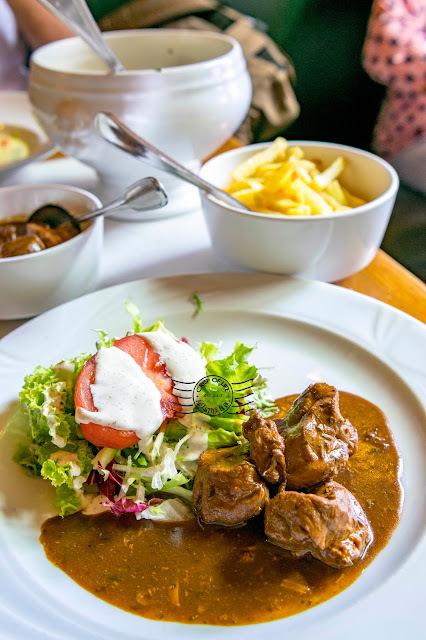 We also had a Stoverij (€16.50), a Flemish cuisine with sweet and sour beef and onion stew cooked with beer resulted in a dark brown sauce. 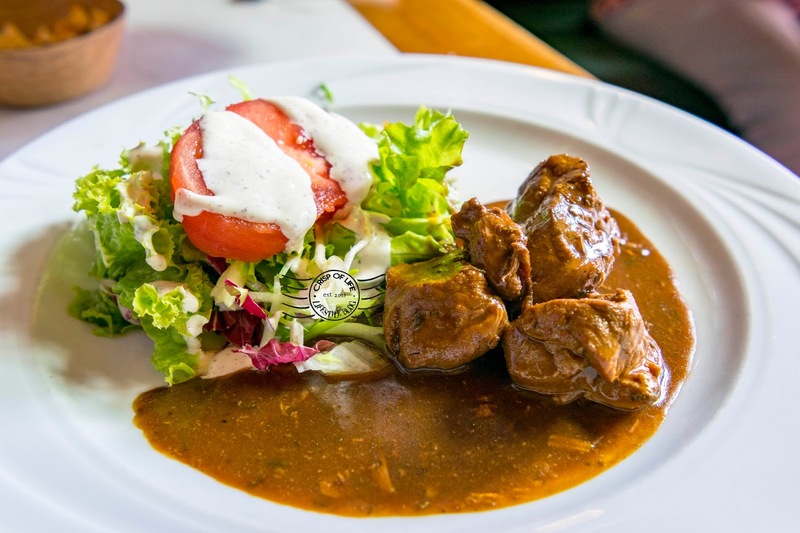 The beef is very soft and complemented well by the sauce. Fries are served along the dish. 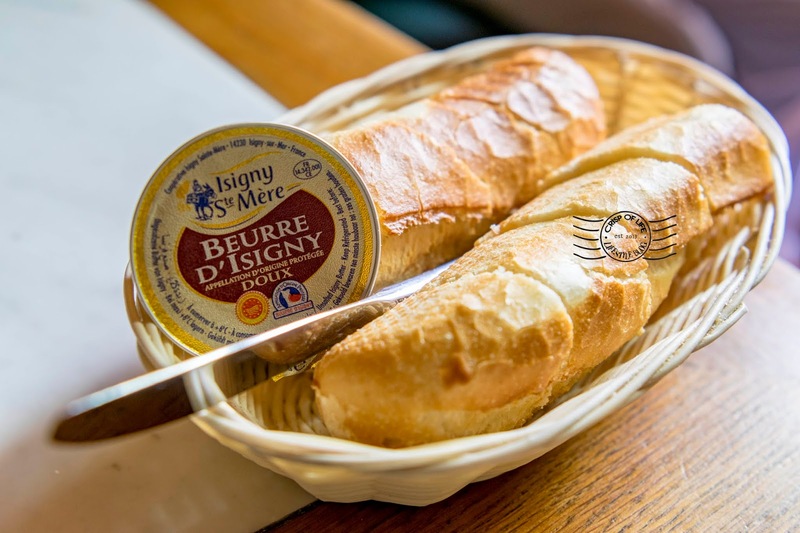 Following the conventional, baguettes are provided complimentary. We felt so full after having our lunch here! We saw many stalls in the city offer Ghent Nose, presumably a local delicacy due to its popularity. Most of the stalls here sell a packet of 13 for €5, and we were lucky to find it at Leonidas which sell 5 for €2 as we were just on the sake of trying. 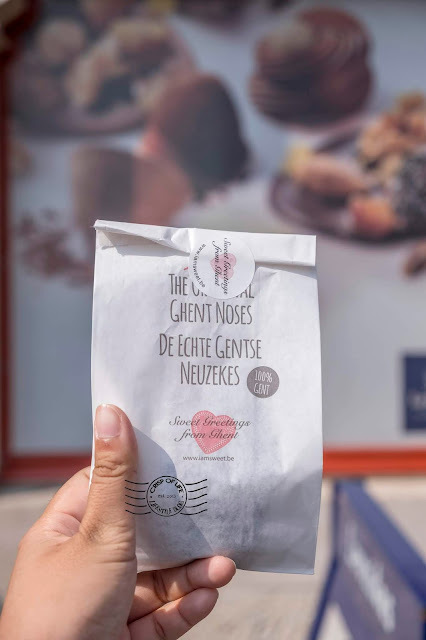 Ghent Nose is like a gummy candy with raspberry-flavoured candy. The outside is hard while the filling is gelatinous. 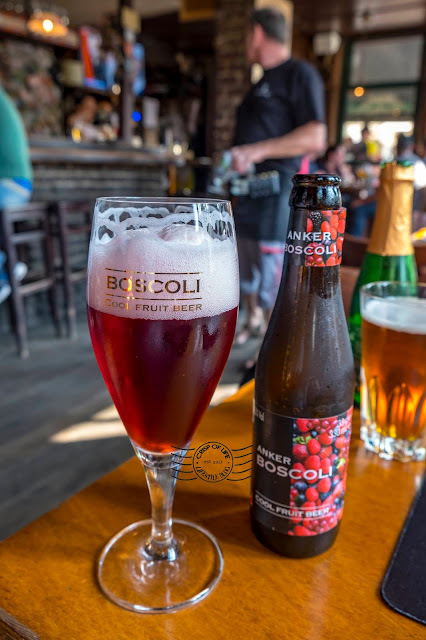 Boscoli Anker (€3.70), a type of fruit beer, nice scent and flavour. 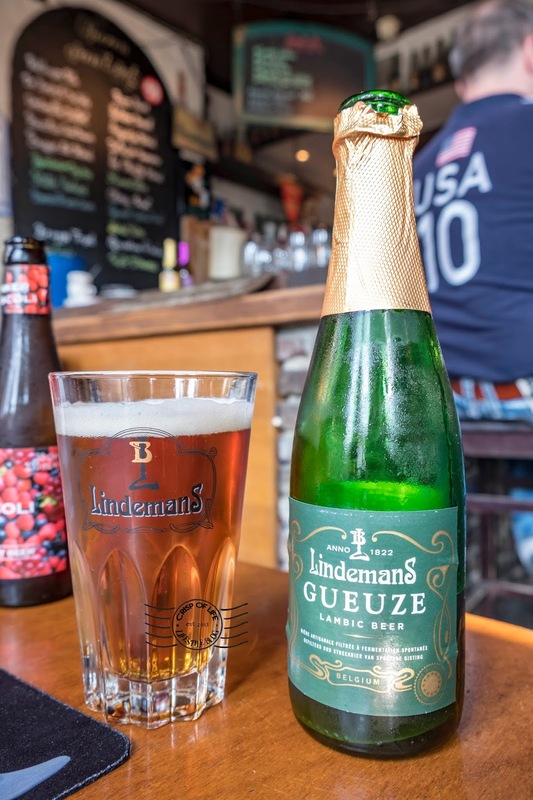 A popular spot among tourists and locals to sit down at the bar and enjoy some Belgian beers while enjoying the view of the canal! 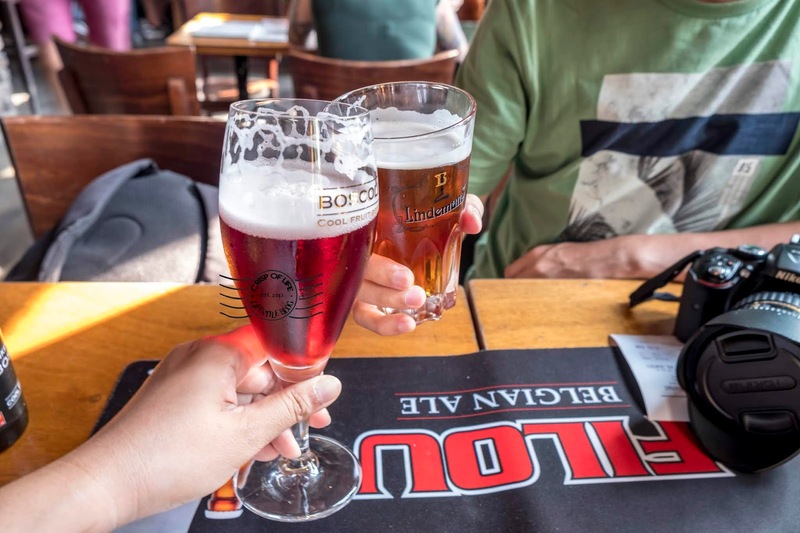 There are easily more than 100 types of beers for you to choose from, leaving all of us in a conundrum due to limited stomach. Good luck on getting a table as the bar seems to be always full house due to its immense popularity. 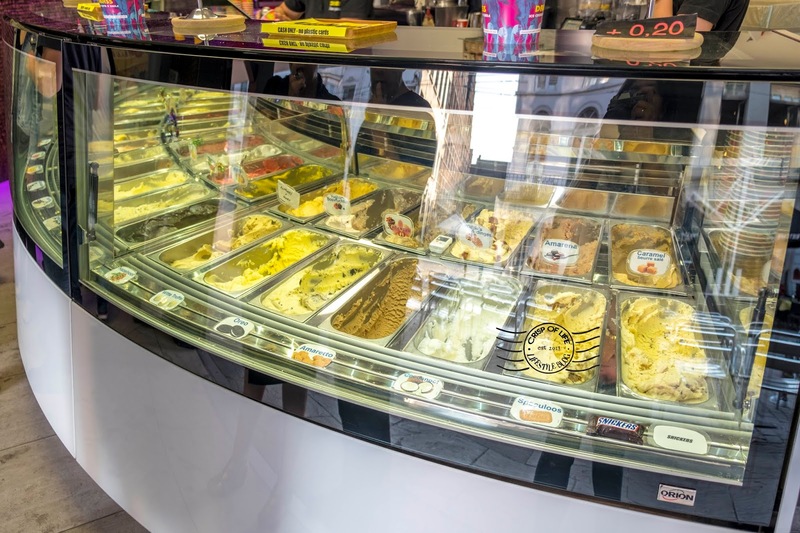 Having Gelato seemed to have become our daily routine since arrival in Europe. 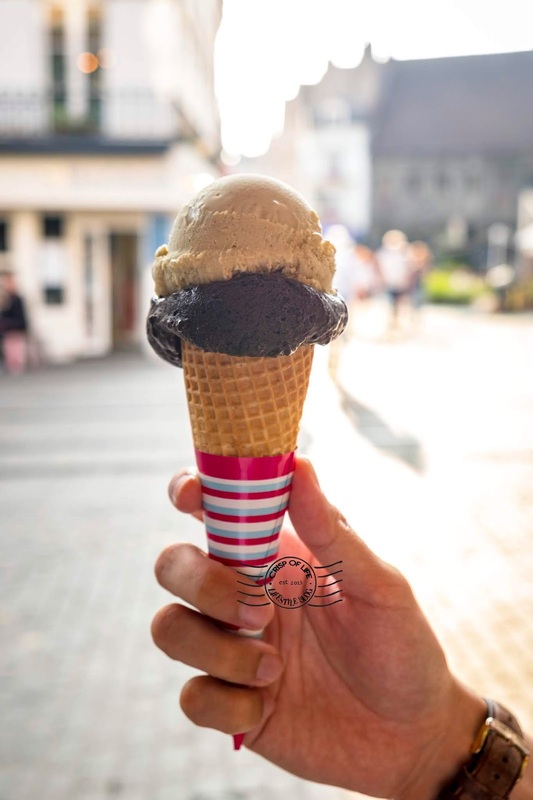 This may due to there were so many Gelato shops at every corner of the city, and we just could not control ourselves upon seeing all the interesting flavour. 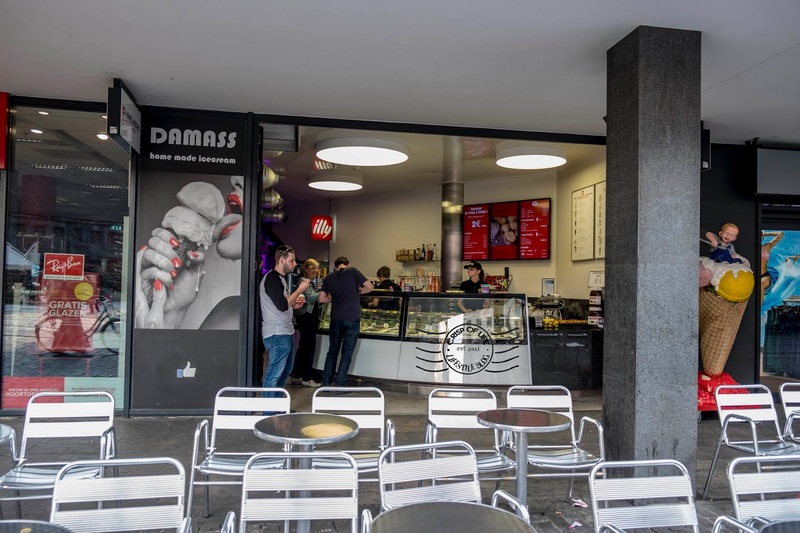 This shop - Damass is located near to the city center of Ghent. 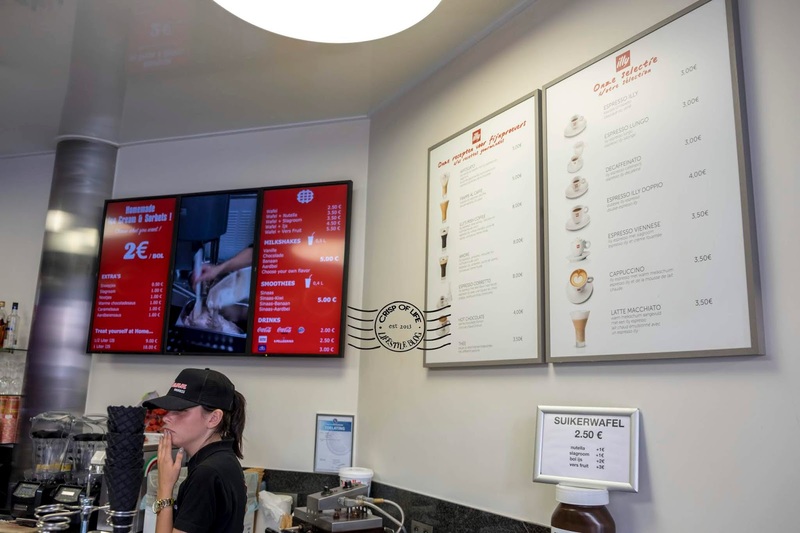 Great gelato offered here in our opinion, and they also have waffles should you need a bite. 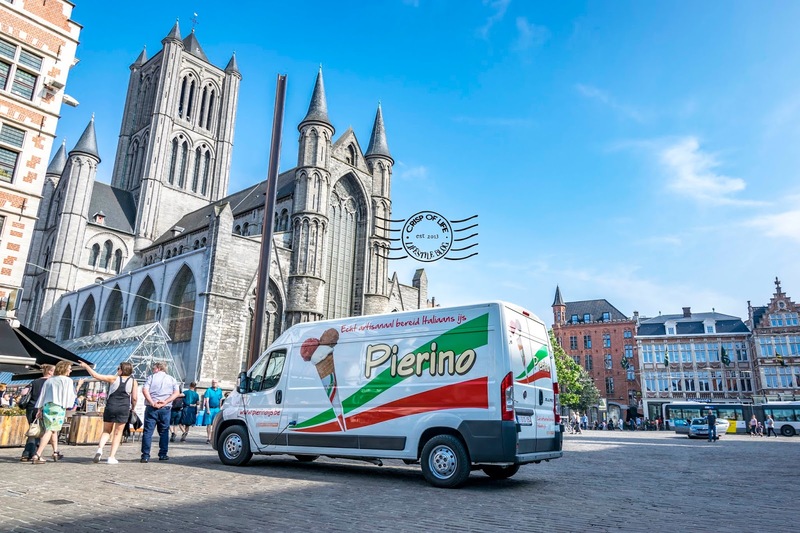 On the other hand, we tried the Gelato from Pierino, a signature white colour van that moves around in Ghent. Though it is cheaper at €1.50 per scoop but the taste was less impressive. Perhaps it was meant for tourists? 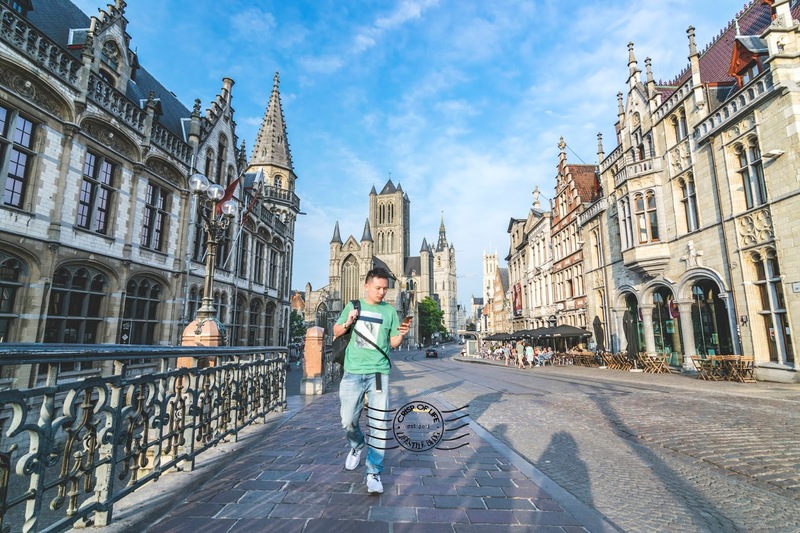 Ghent is such a beautiful city with its centuries-old architecture. 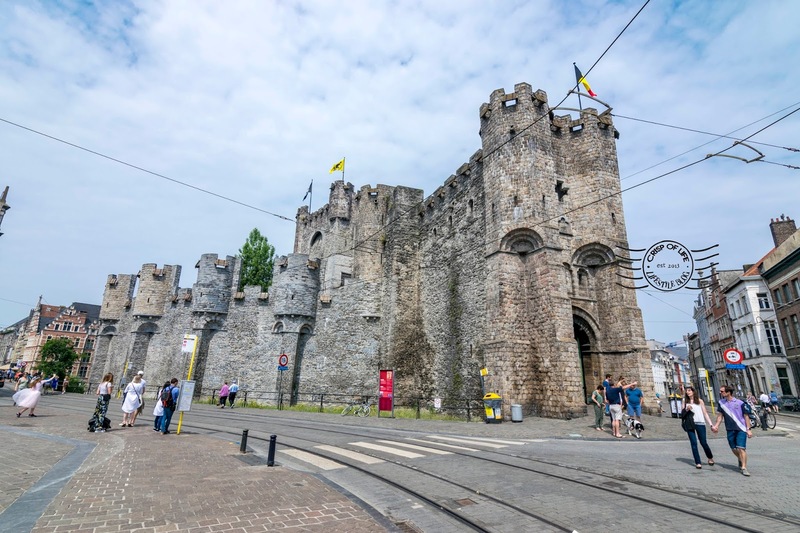 Upon arrival via tram to the old city of Ghent (near to Belfort en Lakenhalle), we can hear classic music playing from the tower, akin we have time travel back to the medieval time. 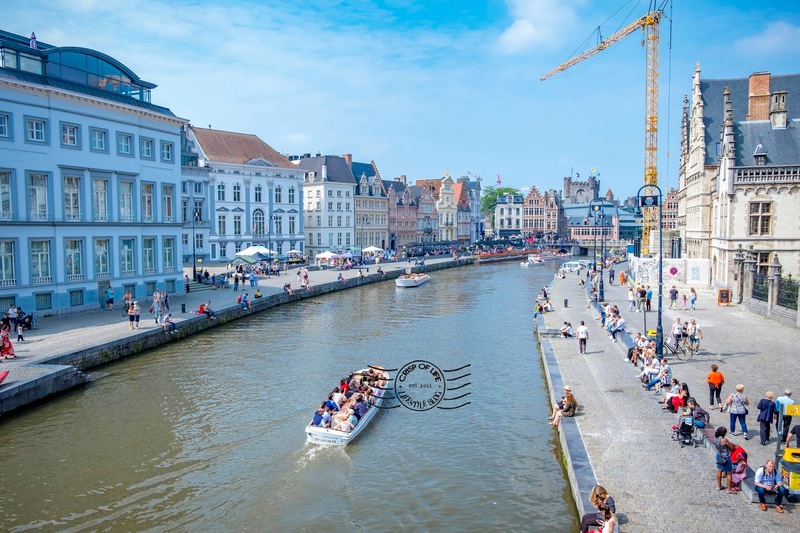 Walk through the city and enjoy every bites of it, from the 12-th century Castle of the Counts (Gravensteen), to Graslei, a quay in the historic city of Ghent located on the right bank of the Leie river or Korenlei, the quay opposite of Graslei with unique houses facades. Unwind yourself in this medieval city and get a break from the urban life and let your soul heals and calms down. 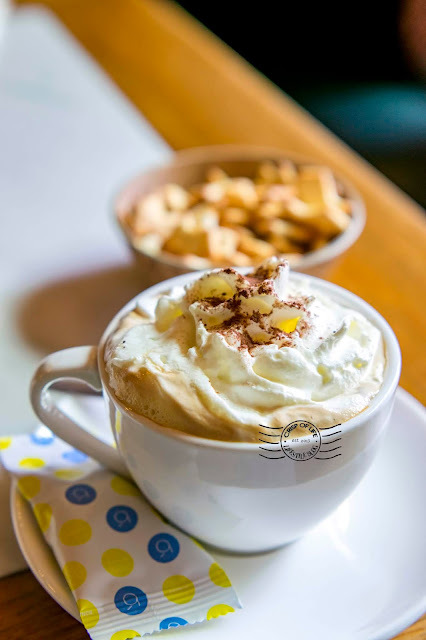 Buy a drink and drink at the patio of Graslei & Korenlei, and perhaps you can have a bright idea on what to do next in your life. 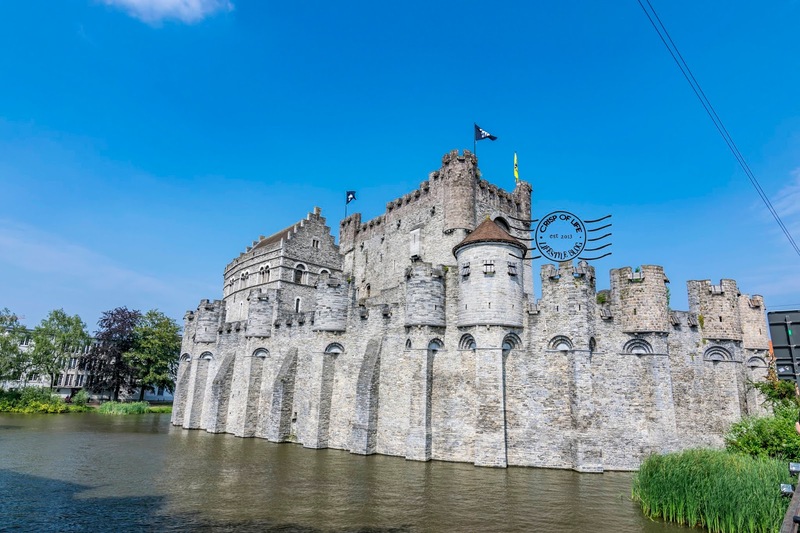 Gravensteen was built by Count Philip of Alsace, count of Flanders in 1180. It is the only remaining medieval castle with a largely intact defence system in Flanders. There is a torture chamber inside, and you can view the relics of the chamber in a small museum in the castle. The top of the castle offers a great view of Ghent's rooftop and tower. Admission fee is €10 per adult. The Saint Bavo Cathedral is a 89-meter tall Gothic Cathedral in Ghent. 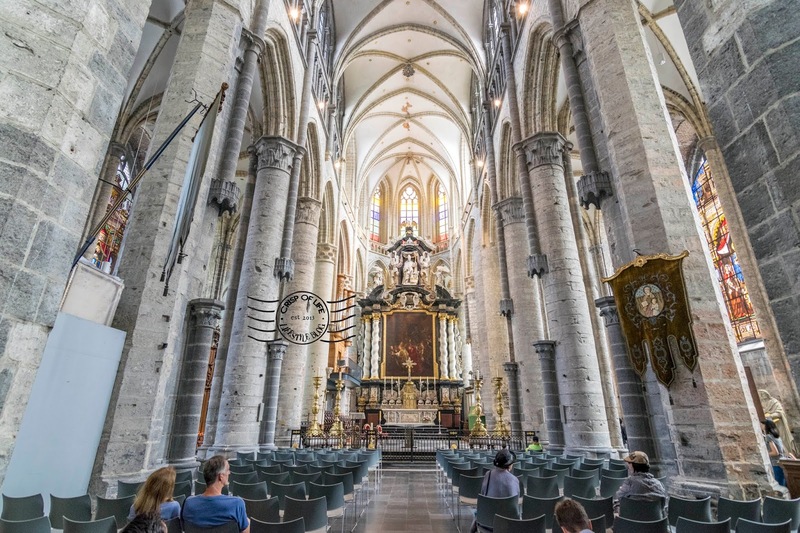 The cathedral is renowned for using the Ghent Altarpiece - The Adoration of Mystic Lamb by Hubert and Jan van Eyck, a 24-panal altarpiece which is considered as an important works of the early Northern Renaissance and one of the greatest artistic masterpiece of Belgium. There are other artworks kept inside the cathedral as well. 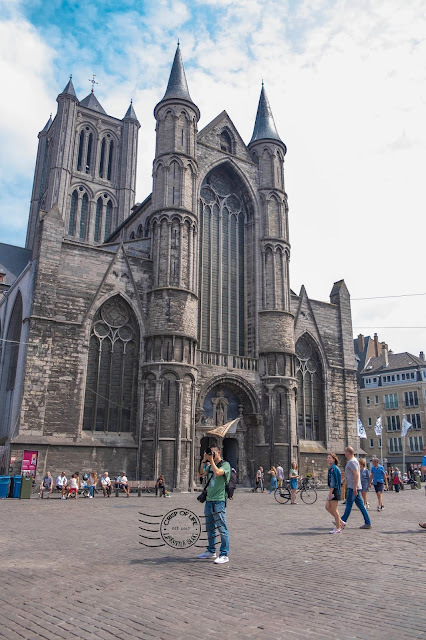 It is one of the medieval tower in Ghent. Another two is located at St. Nicholas Church and Belfort Tower. St. Nicholas Church has one of the tree medieval towers in Ghent. It has a mixture of surviving Romanesque elements of the Flemish architectural style known as Schelde Gothic. The organ in the church is one of the important romantic organs of Belgium, being built by French organ builder Aristide Cavaillé-Coll. 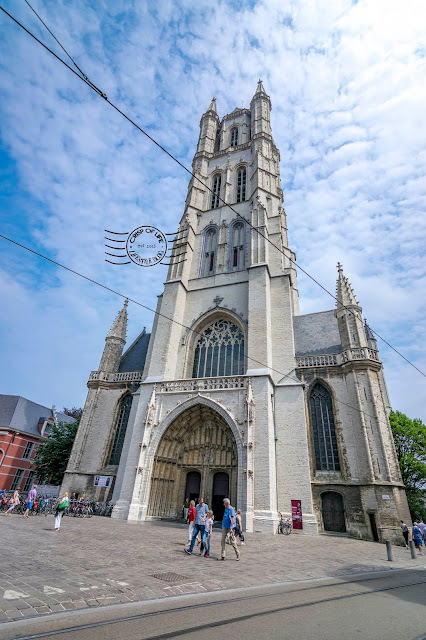 The 91-metre tall belfry (bell tower) is the tallest belfry in Belgium, and is one of the three medieval towers that overlook the old city centre of Ghent. You can take the elevator to the Belfry's upper gallery to see the bells and enjoy the panoramic view of Ghent. 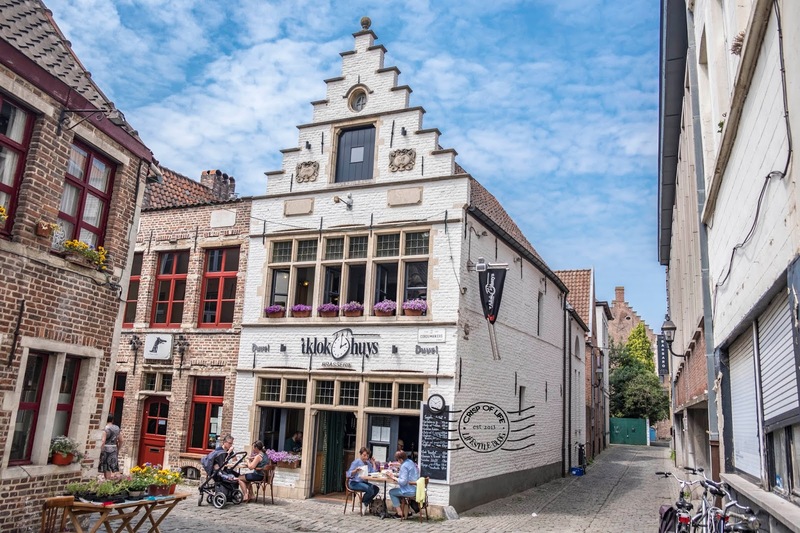 In the older time, Belfort was a sign of prosperity of the medieval city Ghent. It was an economy centre, where main products of Ghent are being sold here, especially wool and clothes. 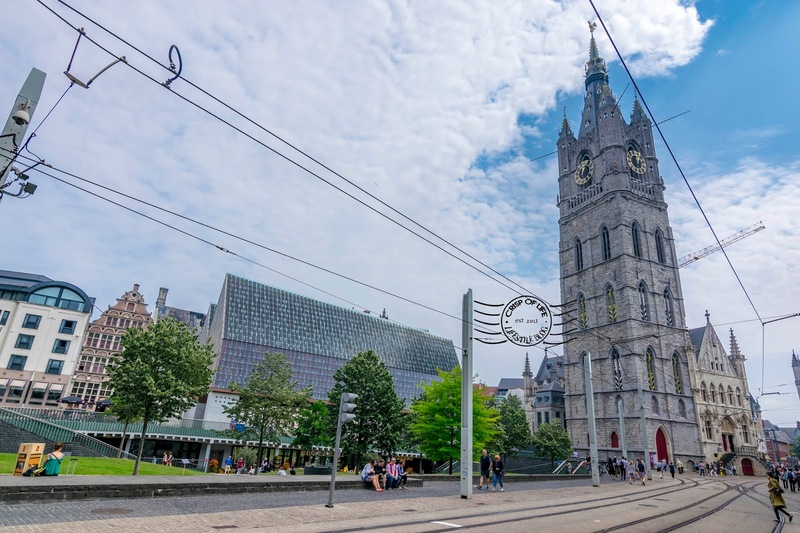 The belfry of Ghent together with its attached building is inscribed on UNESCO's World Heritage List. 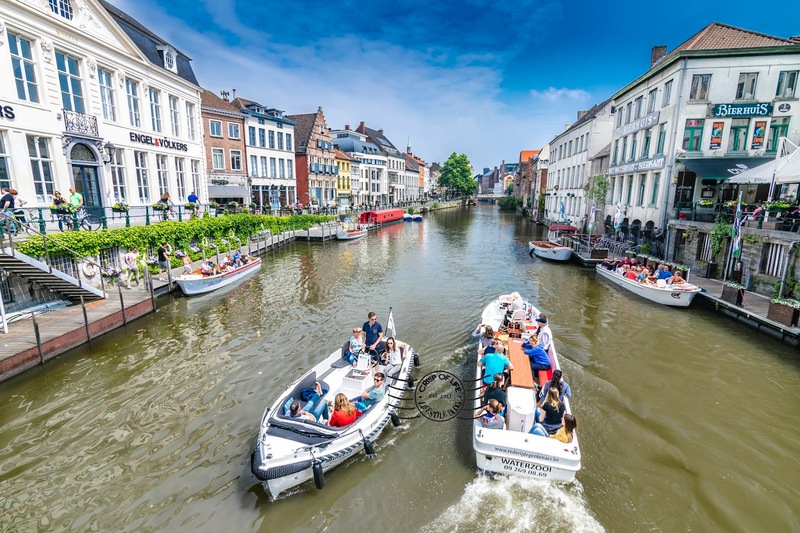 You can either take a guided boat tour which will let you understand the history of Ghent in a different view. On top of that, a boat tour allow you to take pictures from a different perspective too. 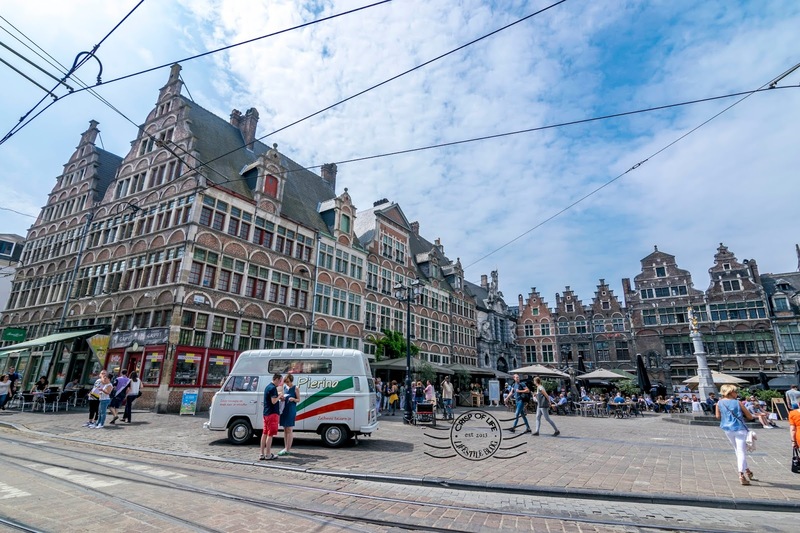 There are Ghent water tram hop-on, hot-off that navigates through the city and stop in different places. 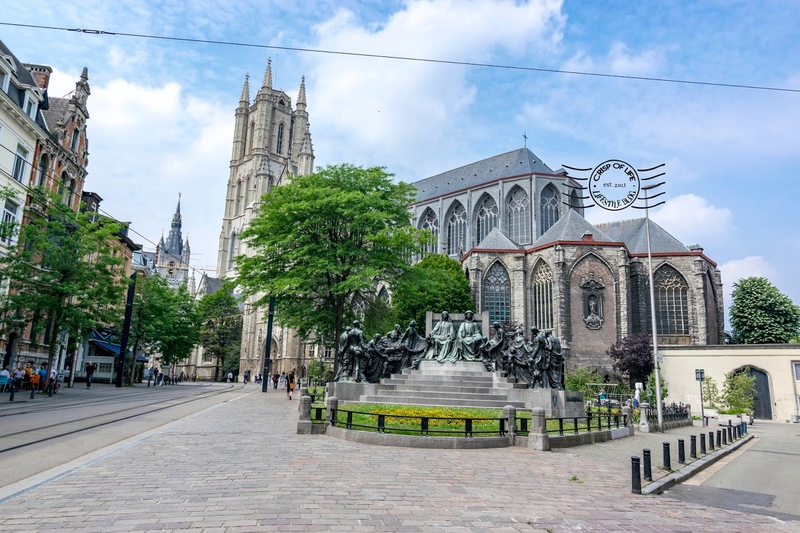 Check out more info with the Ghent citycard. The best way to see locals' culture and have a better understanding on what they do is visiting their market. If your luck strikes, you may have chances getting some little treasures you have been looking for, or get your palate treated with real local flavour. 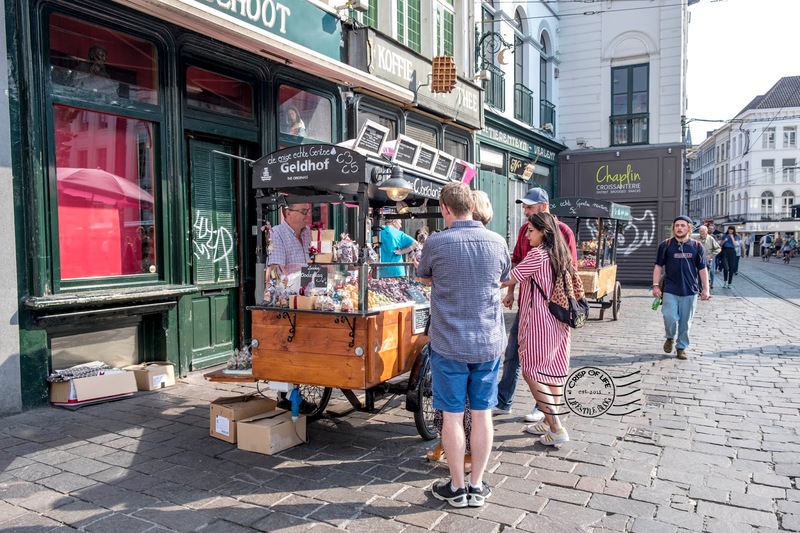 There are a few markets in Ghent which worthy your exploration (Source from Visit Gent website. Flower market: Held on Sunday mornings on the Kouter. Book market: On Sunday mornings on the Ajuinlei to their heart’s delight. Typical local market: On Friday mornings at the Vrijdagmarkt. Bric-a-brac outside St James’ Church: Antique and bric-a-brac hunters can be found at the flea market in Ghent on Friday, Saturday and Sunday mornings at Bij Sint-Jacobs. Well, that marks our day trip to Ghent from Brussels. We wish to spend more time, especially in the evening set in to capture the beauty of Graslei & Korenlei but the train time does not permit. 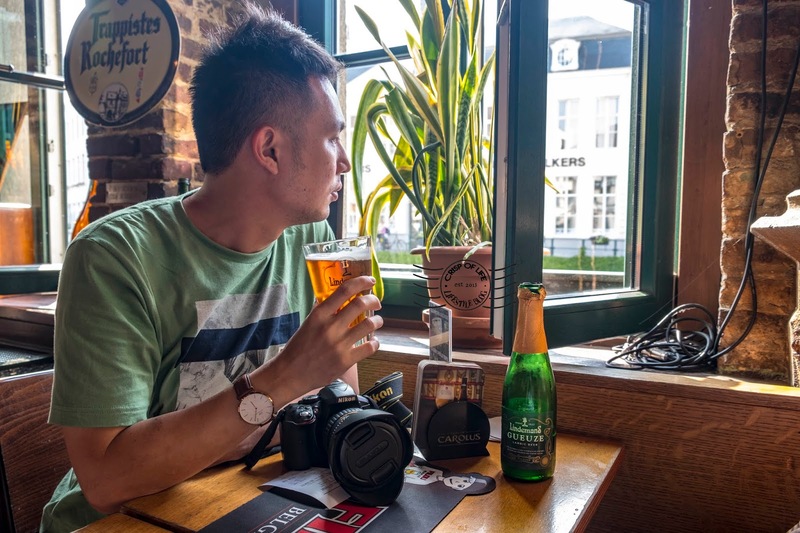 If you have time to spare, consider a night at Ghent and enjoy the beauty of architecture here when the lights lit up before continue with your journey. Next, we continue to Bruges for our final day in Belgium before departing to France.